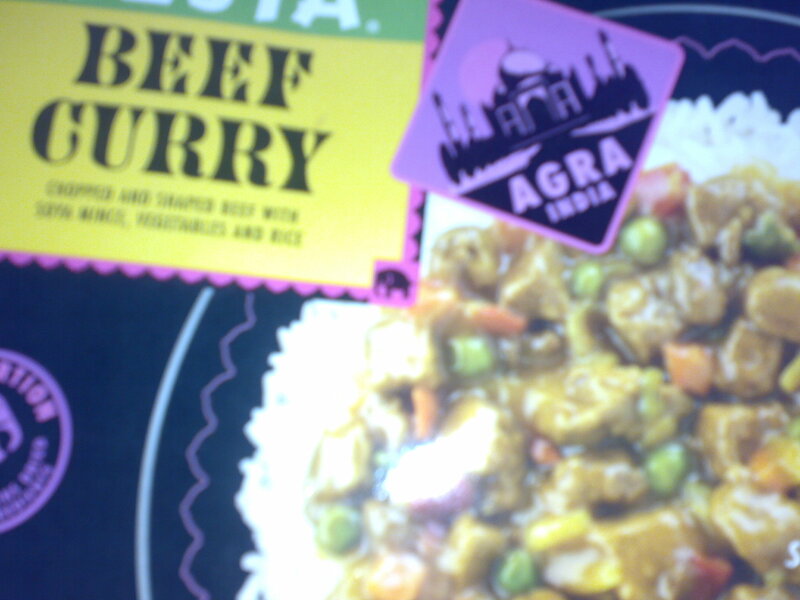 It seemed like suitable punishment for my lapse on Day 3 to find the worst possible meal in the pound shop. I had my pick of at least a dozen horrors-on-a-plate but one appealed to me least. 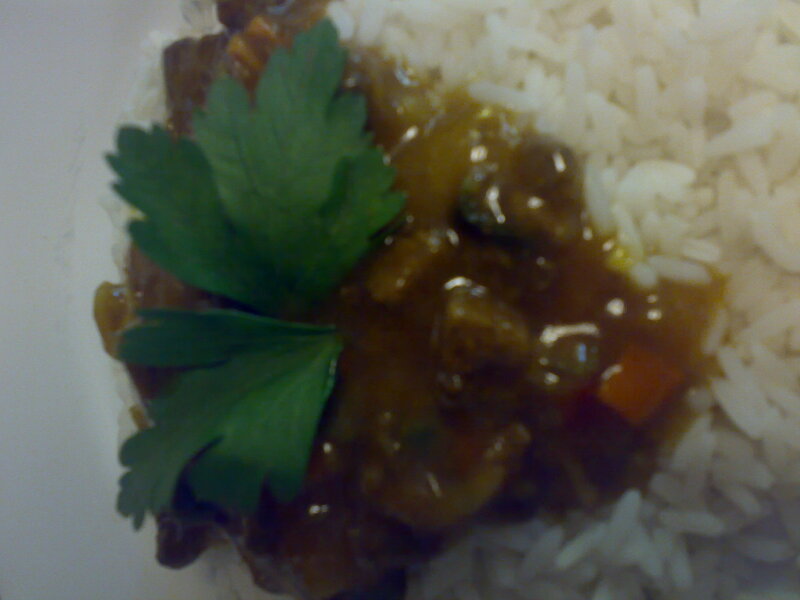 Beef curry: chopped and shaped beef with soya mince, vegetables and rice in a cardboard box. Let me repeat that: meat in a BOX. Eurgh. 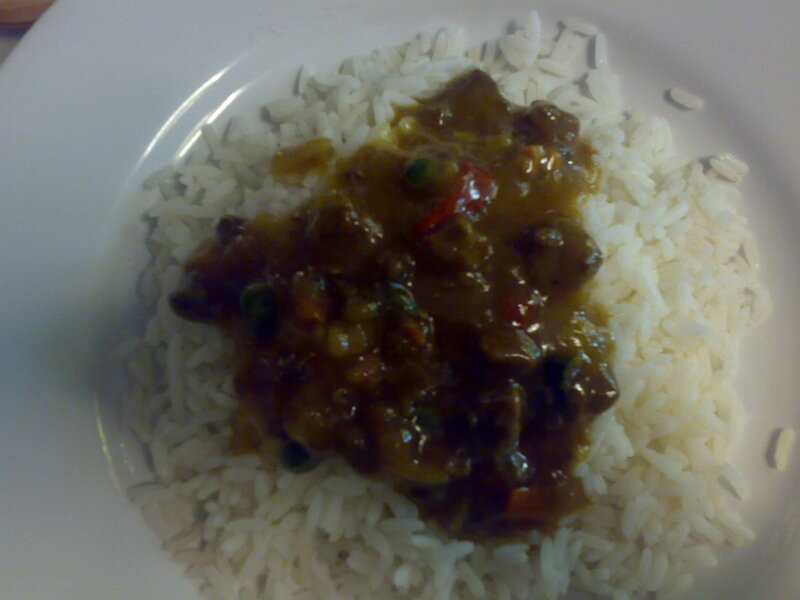 So I opened the packet of powder and dried meat cubes and simmered in water as instructed. Surprisingly it smelt nice. Nice enough for my brother to be drawn into the kitchen. I think he would have even been tempted to try some until he saw what it looked like. It was gloppy and brown with bits – not dissimilar I imagine to the contents of a baby’s nappy after a particularly enthusiastic go at the milk bottle. I knew there was only one thing that could save this meal. One device that every junior chef learns to make a dish attractive. A sprig of parsley. Ta dah! A tasty treat indeed.